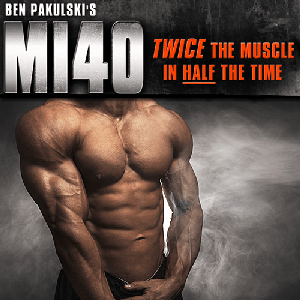 I have seen many bodybuilders committing the cardinal mistake of thinking that muscle building is all about heavier weights and tougher repetitions. There is no doubt that weightlifting is an integral part of body building, However, that does not mean you should ignore a very important aspect of bodybuilding—Stretching. Read ahead for more information on the importance of stretching your body properly, the benefits you will enjoy by incorporating muscle stretches into your exercise regimen, and, finally, how to perform stretching routines properly. Let us begin by understanding what is muscle stretching and how it can help bodybuilders looking to build up heft and muscle in the shortest possible timeframe. In my opinion, stretching is nothing but the act of extending your soft and elastic muscles to enhance length, bulk, and flexibility. When you stretch, you are merely pushing the elasticity of the muscles to the limit, which can make a huge difference to muscle growth over the long run. 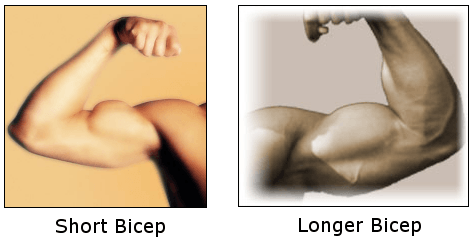 Increasing the length of your muscles will increase the potential for boosting growth. If you have longer muscles, then the tension created when you lift weights will be spread over a larger area. When the cells heal, the longer muscles will become stronger, which will give you a really impressive appearance. The length of your muscles is determined primarily by genetic and hereditary factors. However, regular muscle stretching exercises can help you increase your chances of having a fit and well-built body. Let me give you an example. Which would be bigger after being inflated—a long balloon or a small and short balloon? You don’t have to be a genius to realize that size of the inflated balloon depends on its length. This is true for your muscles as well. Having a regular and well-planned muscle stretching routine will ensure your muscles grow in width, thickness, and length at the same time. Of course, there are many other benefits of doing regular muscle stretches. I have seen disciplined and enthusiastic individuals lose motivation simply because they suffered from frequent injuries during bodybuilding. You should understand that building muscle is all about pushing your body to the limits to make it bigger, stronger, and bulkier. What happens when you hit top speed in your car after a cold start? Chances are high that the engine will break down. Drive the car at moderate speeds for a few minutes and you can hit top speed without any performance worries whatsoever. The same logic is applicable to your body as well. It is very important to ensure you don’t start lifting weights without warming your muscles and increasing blood flow to all parts of your body. Putting strain on cold muscles that have not been warmed up is the quickest way to suffer an injury. What is the simplest way to warm up? A well-planned muscle stretching routine. I can confidently say that those who perform stretching exercises face significantly lower risks of cramps, strains, muscle tear, and other such injuries. Performing gentle stretching exercises in a disciplined manner will increase metabolism and cause more blood to flow into your muscles. This will, in turn, increase flexibility and prevent the muscle, fiber, or tendons from snapping or suffering injuries when you start your preferred weightlifting routine. Further, muscle stretches enhance the functioning of those enzymes that perform the task of generating energy in the body. Now, energy is the fuel on which your body runs. More energy will mean you can work out harder without feeling tired or risking an injury. This means that stretching will actually help you improve your stamina and endurance in the long run. Right Time for Stretching—Before or After? Many persons make the mistake of thinking that to warm up is to perform a muscle stretching routine. Stretching cold muscles with inadequate blood supply can increase risk of injuries. This is why you should perform basic warm up exercises before moving on to stretches. 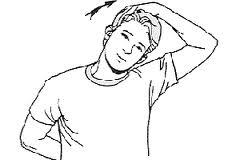 A warmed up muscle will be more flexible and will react better to your muscle stretching exercises. 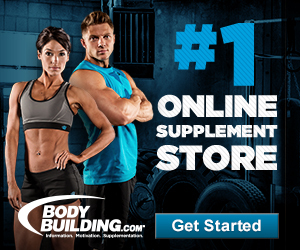 Once you have stretched your body, it is time to move on to your bodybuilding and weightlifting exercises. You should also develop the habit of stretching after the workout. Why? Weightlifting causes injuries to the cells of your muscles. These injuries cause the muscles to swell and become rigid. This is why many people feel stiff after a tough workout. The body finds it difficult to supply blood to the injured tissues. 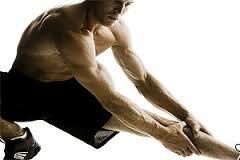 By stretching after the workout, you will force the muscles to become loose and elastic again. This will improve blood supply and accelerate the healing process, which will help you remain loose and fit for the next day’s workout. You can also stretch after completing a set of repetitions. This will keep the body fresh, warm, and loose. This is a particularly good option when increasing the weight or the number of repetitions in a set. Never make the mistake of treating muscle stretches as random exercises. Each and every muscle in your body is interlinked with each other. Following a proper routine is essential to maximize benefits and minimize risk of injuries. Nothing can be more painful and more frustrating than a bodybuilding routine that does not yield results. Perhaps you are committing the mistake of ignoring the importance of stretching. Make sure you incorporate these useful exercises into your fitness routine to enjoy better results along with a healthier and injury-free body. Please share if this article was useful!